The co-founder of hugely popular WhatsApp has defended the mobile messaging app against accusations that it ‘steals’ revenue from operators, insisting that it benefits carriers by encouraging subscribers to use data plans. In a rare interview, conducted with Reuters, Brian Acton insisted that the firm is not a threat to operators, despite conventional wisdom suggesting that the 2 billion messages that its users send each day are cutting into operators’ SMS revenues. “I view it from the perspective that we’re facilitating a broad movement to data plans and the entities that provide those plans are the carriers, so they stand to benefit quite substantially. It’s all about the data,” Acton said. Operators may take a dim view of that opinion, given that social networks like Facebook, which boasts more than 800 million registered members worldwide, already provide a compelling reason for mobile users to buy smartphones and take out mobile Internet plans. WhatsApp is reluctant to reveal its user data, but the company has publicly revealed that the number of messages sent across its platform rose from 1 billion in October, to 2 billion messages in February – that’s quite staggering growth. Given the global usage of WhatsApp and the lack of user numbers, it is difficult to quantify the impact of the service worldwide, although a number of factors do hint at its influence. Record mobile Internet usage accuracy isn’t easy but Web monitoring firm Allot Communication claims that WhatsApp accounted for 18 percent of instant messaging bandwidth in 2011, that’s up from just 3 percent in 2010. However, the biggest compliment is arguably the number of similar services that have taken off and the genre it has pioneered. 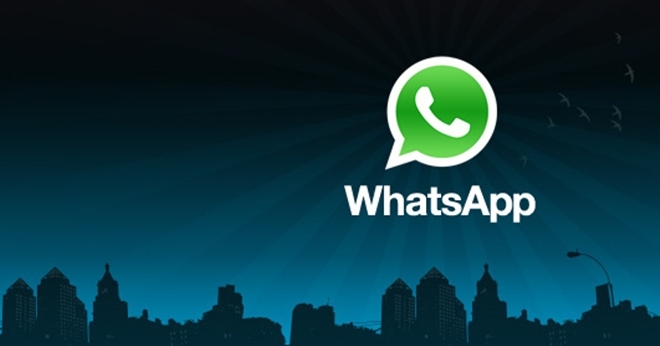 Asia is the place to find the best examples of successful WhatsApp-like services. Korea’s Kakao Talk is seeing 1 billion messages per day while Line, a service that includes voice and was developed in Japan by Korean Web firm NHN, has more than 20 million users and has actively expanded into PCs to challenge Skype. Most telling is the demise of SMS in Taiwan. Analytics firm Coleago Consulting cites WhatsApp as major cause for a 12 percent drop in SMS messages in the country during 2011. From an operator’s perspective the question is whether this is good or bad news. In developed markets most operators sell large SMS bundles which often are not used up. The marginal revenue from SMS is likely to be near zero and therefore the reduction in SMS may not affect revenue materially. 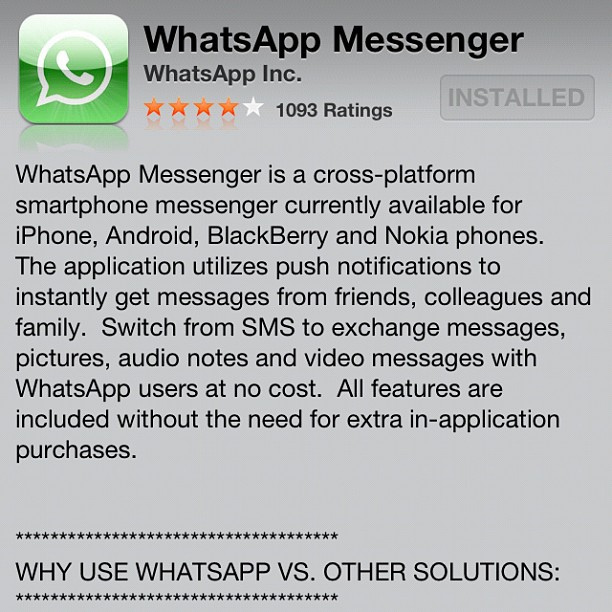 WhatsApp is a much richer form of messaging and therefore of value to consumers. This makes the mobile phone service more valuable to users and further drives smartphone adoption. It’s a brave new world of communication out there and it is worth remembering that WhatsApp is the most used of many services (including Apple’s FaceTime) so quibbling over whether it is a threat is a somewhat moot point. Operators worldwide are working towards introducing 4G services, which will provide more reliable access to thousands of services that make SMS look primitive. With that in mind operators, and service providers, are better off spending time investigating and developing monetization strategies that allow them to work with new apps or indeed compete against them. The real question is whether Acton’s service can continue to march on uninterrupted with an increasing number of competitors aiming to shoot it down from its perch.